The New Image drainable Mini-pouch gives you peace of mind knowing that the pouch is discreet and is made of the highest quality materials. The pouch is designed for at home use, it can be worn while bathing or swimming without affecting its performance. The pouch is only 9 inches and has a traditional clamp closure. Some of the great features of the Mini pouch include strong film that facilitate superior odor and rustle control. Belt Tabs or plastic ears; permit easy attachment of a belt to the pouch for additional security. 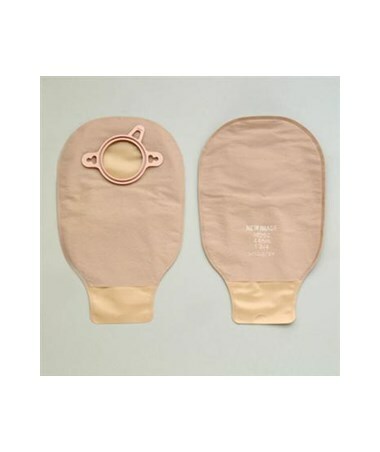 The pouch also comes with a comfort wear panel, which is a nonwoven plastic material that separates the pouch film from the skin on both sides. The pouch has a patented locking mechanism that attaches the pouch securely to the skin barrier, preventing unintentional separation. For your convenience, a half moon shaped cut at the bottom of the drainable pouch permits an easy way to separate the two films when draining or cleaning the pouch. The Mini pouch comes in three flange sizes, 1 3/4", 2 1/4", 2 3/4". Select your size from the drop down above. Mini pouch can be used in the home. Can be worn while bathing or swimming. Comfort wear panel, separates the pouch film from the skin on both sides. Patented locking mechanism that attaches the pouch securely to the skin barrier, preventing unintentional separation. 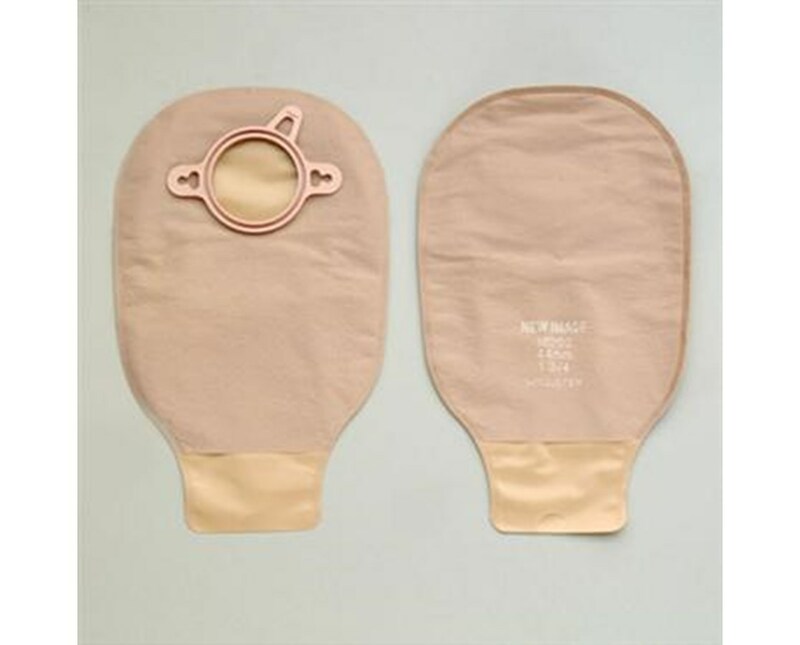 Finger cut- A half moon shaped cut at the bottom of a drainable pouch that permits an easy way to separate the two films when draining or cleaning the pouch.